My card design was inspired by Freshly Made Sketches #335. I started by embossing a panel of Whisper White card stock with one of the Petal Pair Embossing Folders. I adhered the embossed panel to a panel of Coastal Cabana card stock (available June 1) with SNAIL, then wrapped a strand of Silver Baker’s Twine around the panel and tied a knot. I adhered the layered panel to a Petal Pink card base (card stock available June 1) with Stampin’ Dimensionals. I stamped the solid cake image from the Cake Soiree stamp set in Coastal Cabana ink (available June 1) on a panel of Whisper White card stock. I let the ink dry completely (don’t those new ink pads stamp the solid images beautifully??) and then used my Stamp-a-ma-jig (retiring May 31) to stamp the lined image over it in VersaMark Ink. I sprinkled the image with Silver Stampin’ Emboss Powder and heat embossed it then cut it out with the coordinating Sweet Cake Framelits Dies. I colored over the cake images with Coastal Cabana, Mint Macaron and Petal Pink Stampin’ Write Markers (available June 1). I used the fine point end of the Mint Macaron and Petal Pink so that the felt tip end wouldn’t pick up the Coastal Cabana ink under it. I stamped three flower images from the Cake Soiree stamp set in Petal Pink ink (available June 1) and a leaf in Mint Macaron ink (available June 1) on a panel of Whisper White card stock. I heat embossed the lined images over the flowers with VersaMark ink and Silver Stampin’ Embossing Powder and then cut the images out with the coordinating Sweet Cake Framelits Dies. I adhered the images to the cake die cut with Glue Dots. I cut a panel of Silver Foil sheets with the cake plate die from the Sweet Cake Framelits Dies and then I turned the die upside down over the die cut and ran it back through the Big Shot so that it created the plate without the decorative edging. I adhered the Silver Foil die cut to the back of the cake die cut with SNAIL and then to a circle that I’d cut with a Layering Circles Framelits Die from Whisper White card stock with Glue Dots. 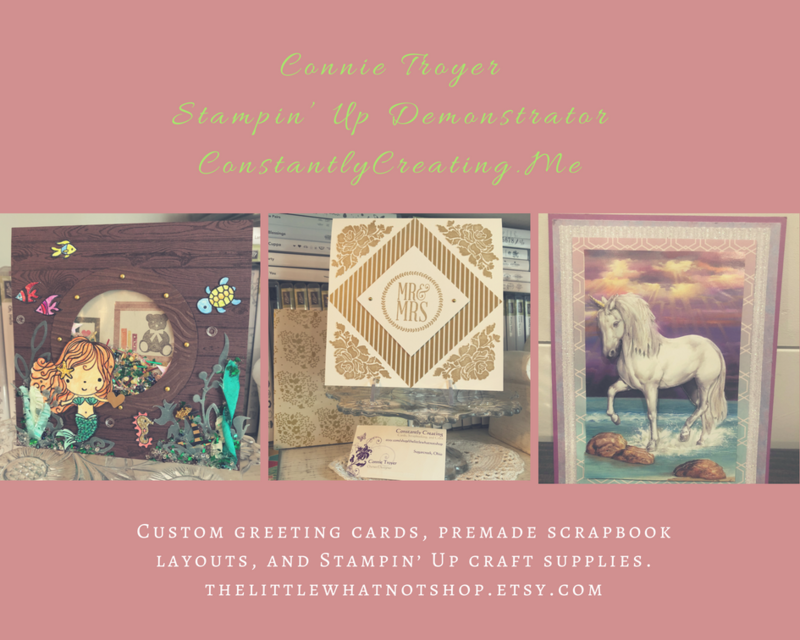 I adhered the layered die cuts to a scalloped circle that I’d cut from Coastal Cabana card stock with another die from the Layering Circles Framelits Die with SNAIL and then to the card front with Stampin’ Dimensionals. I cut panels of Petal Pink and Coastal Cabana card stocks with a die from the Sunshine Wishes Thinlits Dies and I adhered them together and then to the card front with touches of Multipurpose Liquid Glue. I stamped the larger sentiment from the Beautiful You stamp set and the smaller sentiment from the Itty Bitty Greetings stamp set (available June 1) on a Whisper White card stock panel inside the card. I added the flower images from the Cake Soiree stamp set in Petal Pink and Mint Macaron inks to finish it. ***Don’t forget that the bundle pricing for the Cake Soirée stamp set bundle will be ending on May 31. The stamp set and dies are in the next Annual Catalog but they will only be available at the individual prices, so be sure to pick yours up by May 31 to take advantage of that bundle pricing! Stamp With Amy K 2018-19 Annual Catalog DSP Shares! 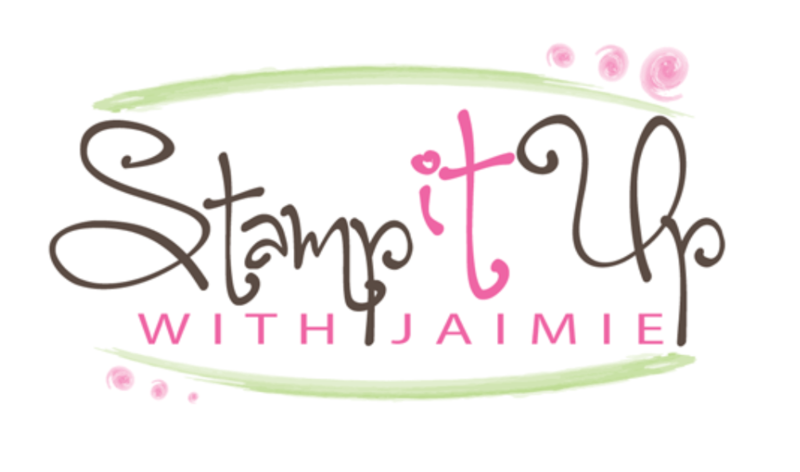 I am offering Designer Series Paper Shares again for the Stampin’ Up! 2018-19 Annual Catalog!! If you love the DSP as much as I do and want it all but can’t afford to buy full packs of each paper, a share may be a great option for you! You will get a good, working sample from each of the packs for a fraction of the cost of buying full packs of every paper. The email address that is connected to your Paypal account. I only accept Paypal for payment unless you are a current customer of mine or have participated in a share of mine before. The deadline to sign up for my share is Wednesday, May 30 at 1:00 PM ET. This entry was posted in Congratulations, Graduation, Wedding and tagged Beautiful You, Cake Soiree, CAS card, congratulations card, graduation card, Sunshine Wishes Thinlits, wedding card. Bookmark the permalink. This is the perfect card for someone graduating from Culinary Arts! Love these colors together! Thanks so much for joining us at Freshly Made Sketches. Gorgeous card! And, isn’t that why we make cards…to personalize them and fit them to the occasion? Perfect for a culinary arts grad with emphasis on baking. She is sure to love it!